Christopher Burdett is a maker and wrangler of fine monsters for all your monster needs. From scales to fur to tentacles, Christopher has the monsters you need and want. Christopher Burdett is a freelance artist based in Florida. He works extensively with state and local governmental and educational entities and design monsters and their ilk for film and gaming companies. 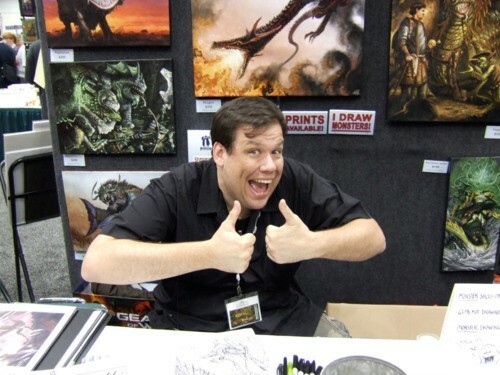 Christopher has done work with Wizards of the Coast, Paizo, Fantasy Flight, Code Collective, Catalyst Game Labs, and Hero Games, just to name a few, on various book and card illustrations and miniature designs.